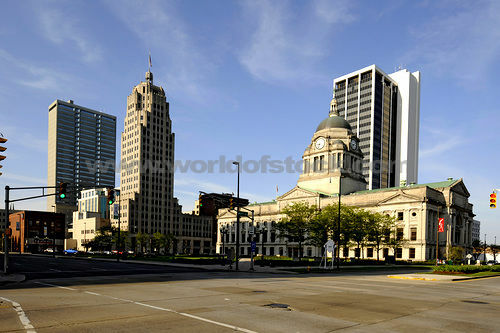 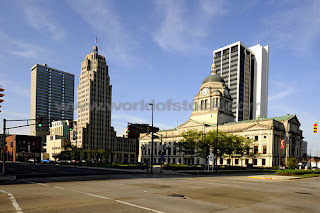 In case you're not from FW, or have never been here, this is basically what downtown looks like. 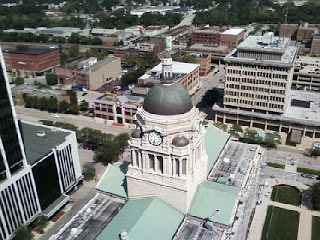 The shortest building in front is the county court house. 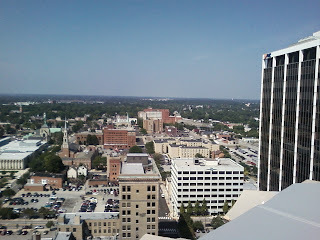 The black and white building behind it is the PNC Bank building. 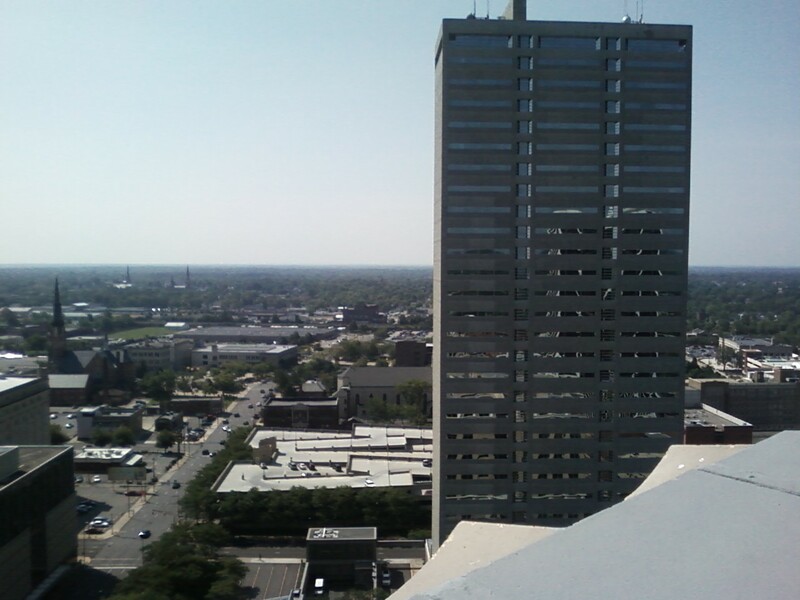 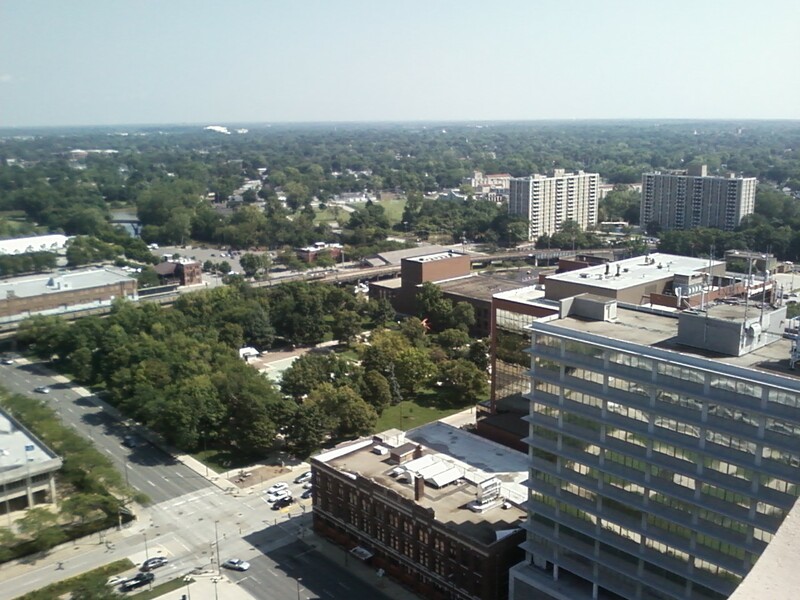 The tan/gold tower on the left is the Lincoln Tower, and the gray cinder block looking building in the back is the Chase Bank building. 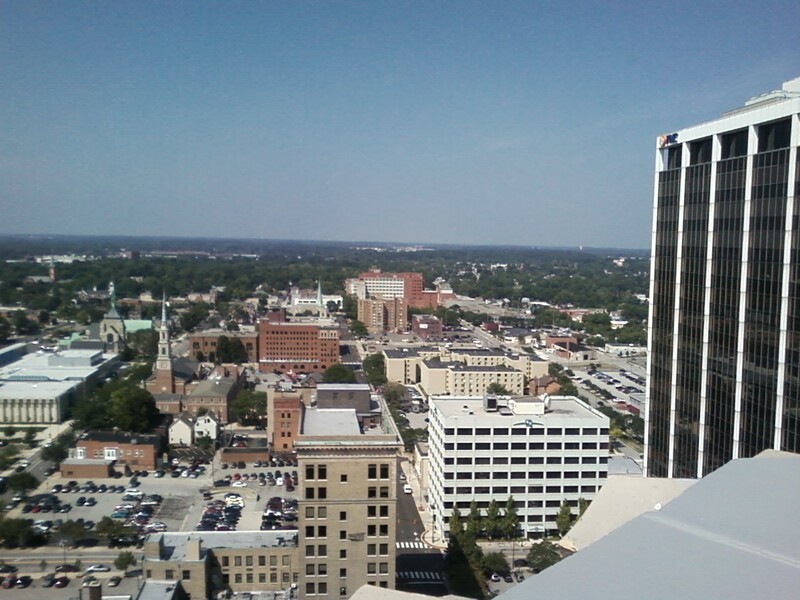 I work with a guy who is a relative to the person who owns the Lincoln Tower. The roof is always locked, but he had a key and took a few of us up today to check it out. 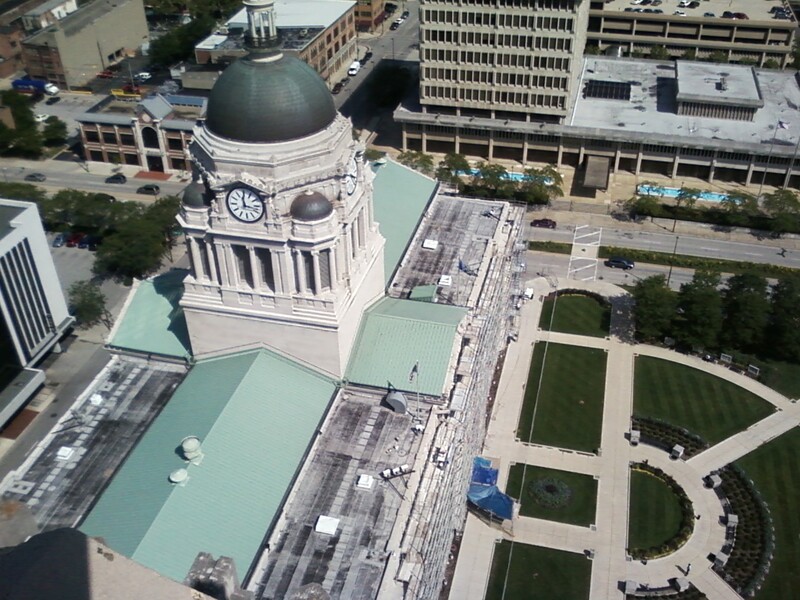 This is what the court house looks like from 23 stories. The Tin Caps baseball stadium is near the back of this photo. 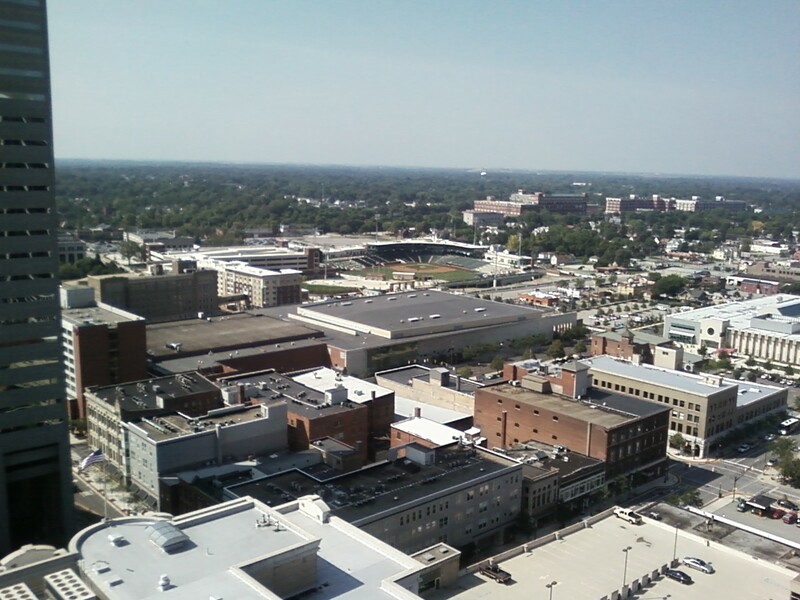 PNC Bank on the right. The church where we got married is way off in the background with the green roof. 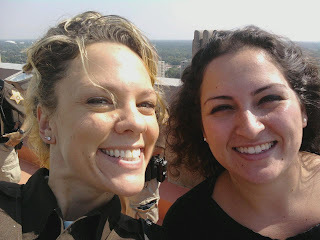 Me and my friend Ingrid. It was supposed to be a cool picture of us on the roof, but our heads were too big.